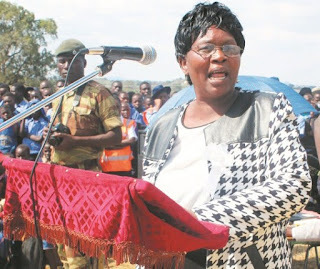 ZAKA – Musiso High School 'A' level pupils have petitioned the District Schools Inspector (DSI) Beaula Shambambeva asking her to investigate the alleged breaching of examination rules and regulation by the schools administration. TellZim News leant that Shambambeva and her team recently descended on the school after learning about the damaging allegations. When reached for a comment, Shambambeva admitted visiting the school following the complaints but was quick to say all was well at the school and the examinations were running smoothly. 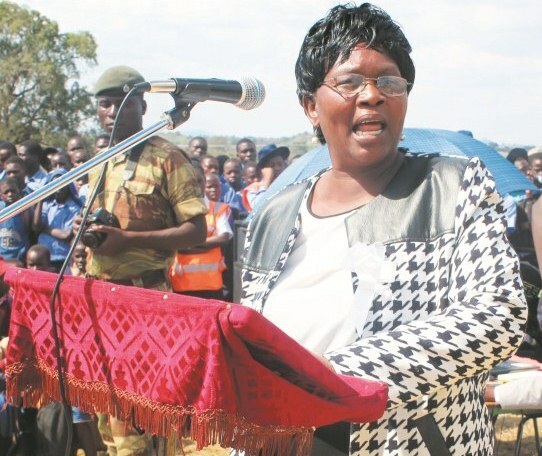 "Yes I visited the school but we discovered that everything was well organised and the examination committee was in order, that is all I can tell you and if there is anything more you can call the PED, or Zimsec office," said Shambambeva. In their letter, a copy of which was seen by TellZim News, the pupils raise a host of complaints including allegations that their geography paper one answer scripts was reopened in private and their answers tempered with. They also complain over delays in starting time, inadequate examination materials and improper sitting arrangements. "We are a group of upper sixth candidates of St Anthony's and would like to bring to your attention serious and massive examination rigging and other forms of malpractices done at our school… our aim is to ensure that you our superiors act quickly to avert a possible exams disaster that may befall us..," reads part of the letter. The allege that after writing geography on the October 17, the paper was sealed in the pupils presence but rumours soon followed that the answer sheets were reopened for malicious reasons. "On 17 Oct 2017 rumour had it that the school administration led by the head and the invigilators locked themselves up in the head's office and broke the envelope we had sealed the previous day (16-10-17). They then tempered with our scanner sheets by 'rearranging scripts and correcting errors' on our answer papers during our absence...we strongly believe that our answers were tempered with for the good of us or otherwise," reads the letter. The pupils also protest the sitting arrangements, saying they were made to seat too close to each other, a situation which they say allowed copying. They also said a chemistry paper written on October 19 was open one way before the start time. "An 'A' level chemistry paper was supposed to be written at 1400. The paper was opened and a whole hour passed before candidates were told to start writing…The reason given for the delay was that there were no data booklets. We were advised to continue the paper without the use of the vital booklets," further reads the letter. However this publication was reliably informed that the DSI and her team found out that the answer scripts were opened because the school administration had wanted to remove multiple choice perforations and in another case they had forgotten to include the register.